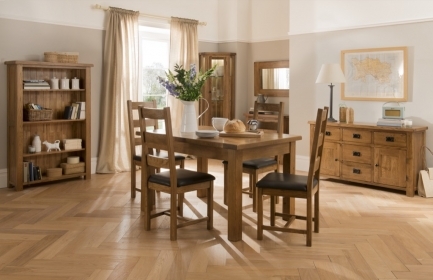 This larger Rustic extendable, D ended table allows you and guests to dine in style. It has an elegant, smooth lined design and a stylish, traditional feel. Handmade from top range, hard-wearing and long-lasting American White Oak, the table features a rustic finish and can be extended when required. It is a flip top extendable table, perfect for entertaining either smaller or larger parties as required. This splendid dining table is an excellent centerpiece for any dining room and is guaranteed to last for years to come.